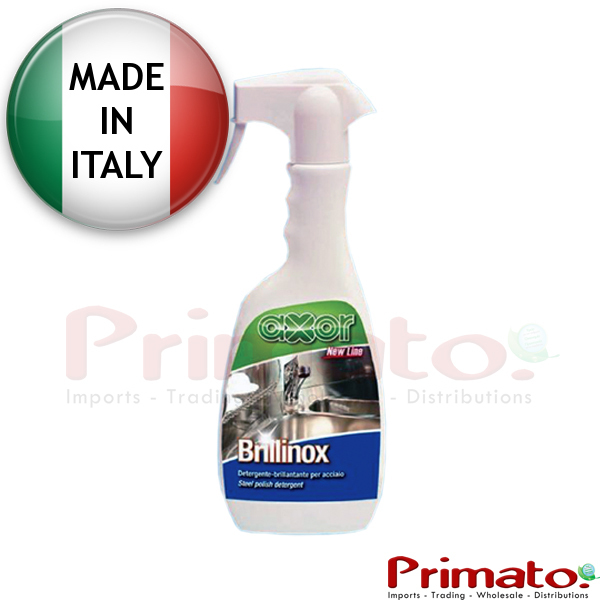 Cleans and polishes the inox surfaces. Code: BA424. Packaging: 500 ml Bottle with sprayer. Spray on the surface you want to clean and polish. Wait a moment and then pass through a clean cloth.